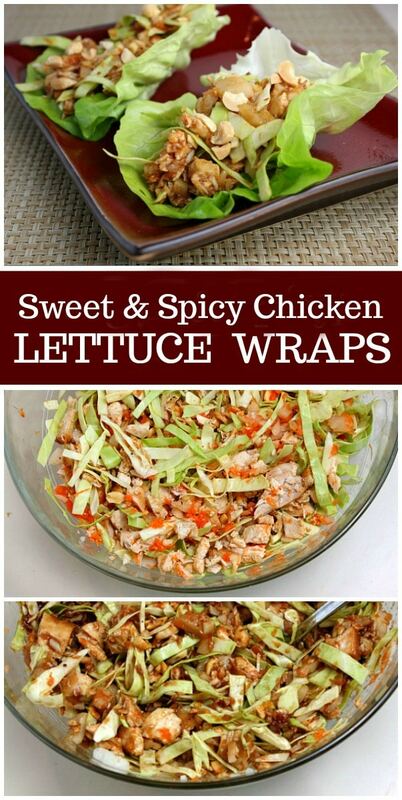 Here’s a super easy recipe for Sweet and Spicy Chicken Lettuce Wraps. It’s healthy and quick enough to make for a weeknight dinner. 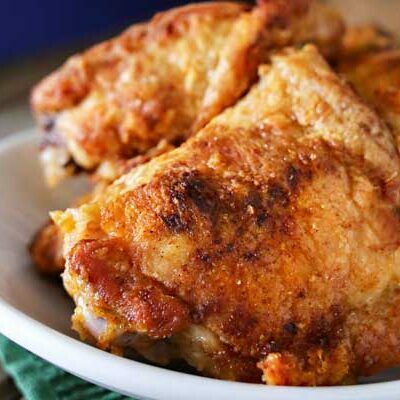 This is the perfect recipe to make if you’ve been indulging in too much comfort food lately. It’s perfectly light, and it’s Weight Watchers friendly with only 3 points for three lettuce wraps. 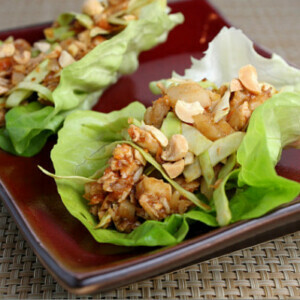 How do you make Sweet and Spicy Chicken Lettuce Wraps? It’s easy! You’ll need some fresh ingredients… cooked chicken breast, thinly sliced cabbage, shredded carrot, (the sweet and spicy sauce), peanuts, Bibb lettuce and water chestnuts. 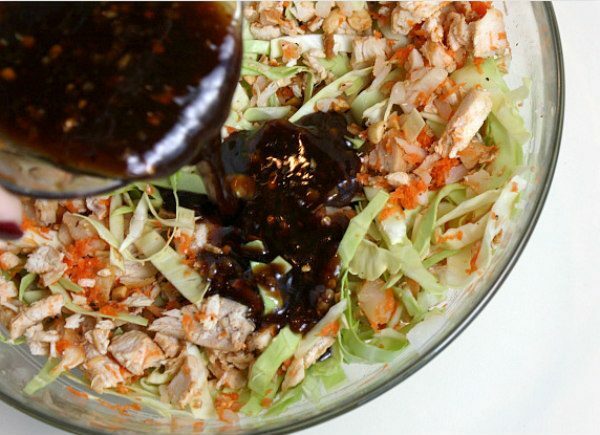 In a medium bowl, you’ll mix cabbage, carrots, water chestnuts, chicken and peanuts. The sauce is made from hoisin sauce, cider vinegar, soy sauce, ginger, sesame oil, crushed red pepper and garlic. 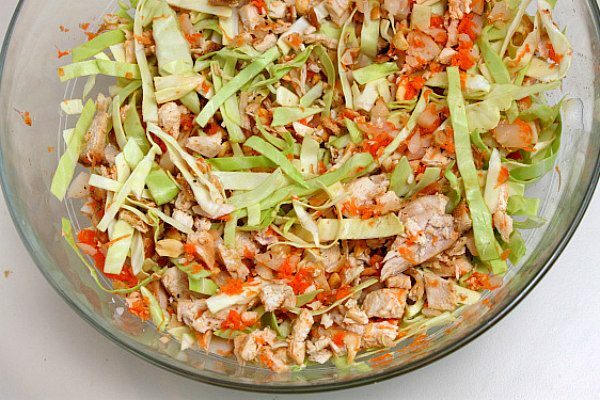 Just whisk it together in a small bowl, and pour it over the chicken-cabbage mixture. Scoop it into clean Bibb lettuce leaves. 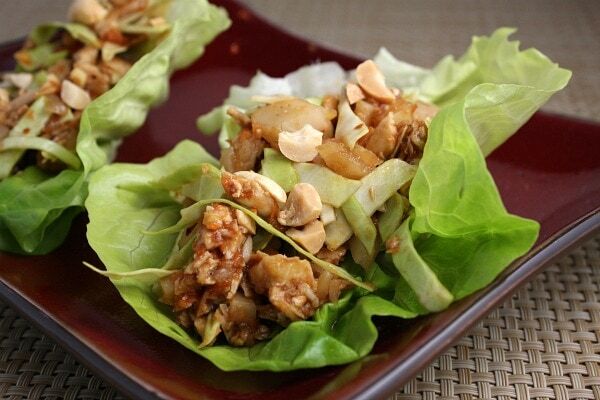 You “can” use other types of lettuce, but Bibb lettuce is best for lettuce wraps. It’s small in nature, but wide and sturdy enough to hold the filling. Do you feel healthier already? 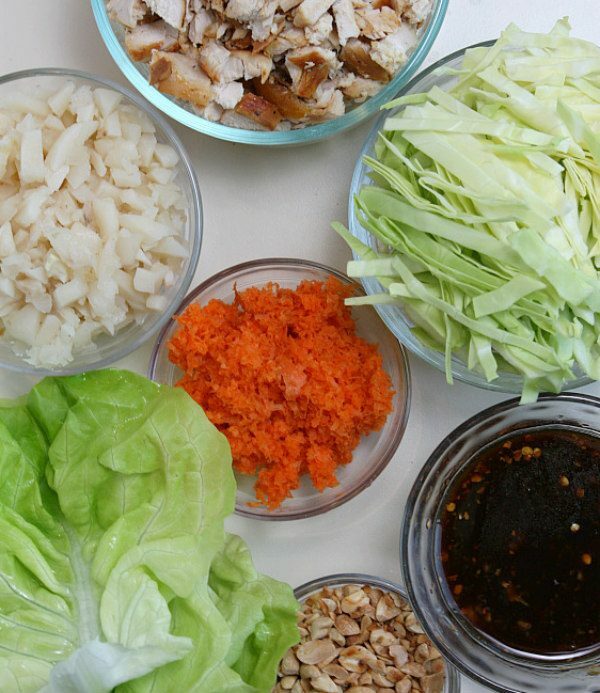 This recipe yields enough to make 12 lettuce wraps. You can have three of them for a total of 189 calories (and 3 Weight Watchers Freestyle SmartPoints). They make a nice lunch, and they’re terrific for a light summer dinner too. Kids seem to like the sweet flavor in these, and for some reason using lettuce in place of a tortilla in these “tacos” is kind of cool (according to my kiddo). Watch the video showing you how to make these Sweet and Spicy Chicken Lettuce Wraps, then print out the recipe and make them at home. 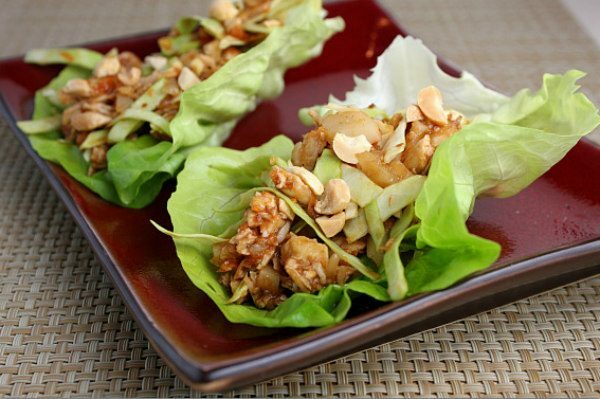 These lettuce wraps are a nice, lighter idea for dinner. Place peanuts in a small nonstick skillet over medium-high heat; cook 3 minutes or until lightly browned, shaking pan frequently. Remove pan from heat; set aside. In a small bowl, combine hoisin, vinegar, soy sauce, ginger, oil, pepper and garlic in a small bowl, stirring well with a whisk. 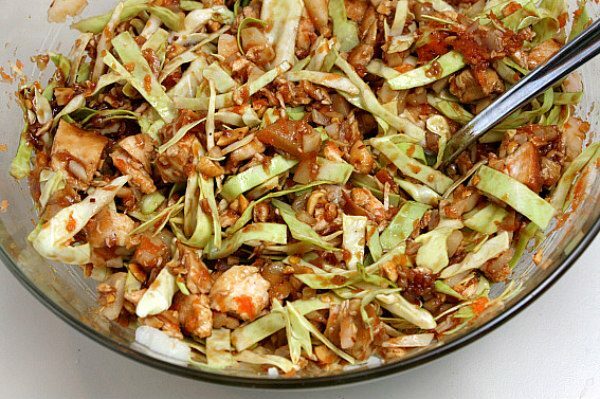 In a medium bowl, mix 2 Tablespoons peanuts, slaw, water chestnuts, and chicken; add sauce and toss well. Spoon about 1/3 cup of chicken salad in the center of each lettuce leaf; Sprinkle each lettuce wrap with remaining 1 Tablespoon peanuts. Serve immediately. *If you are preparing this recipe as GLUTEN FREE, just make sure you are using brands of hoisin sauce, soy sauce and water chestnuts that are known to be GF. Excuse my complete lack of culinary skills but I’m a bit confused — do I cook the chicken plain then toss with the other stuff? Does anything else get cooked (e.g. the slaw)? Nothing is cooked in the recipe except the peanuts. You’re using already roasted chicken. Thanks Lori! This recipe is really healthy… I usually design simple healthy dinners…..this recipe will be good option. Do you think these would tastes good with cashews instead? My daughter cannot have peanuts. A great addition to by gluten-free diet. Thanks so much for giving me what I know will be a favorite! This looks like my type of recipe. It looks beautiful too. 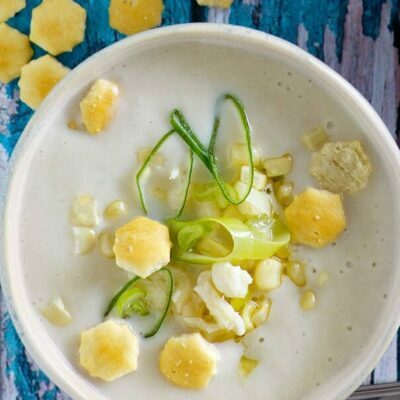 Following you on Pinterest for more great recipes! 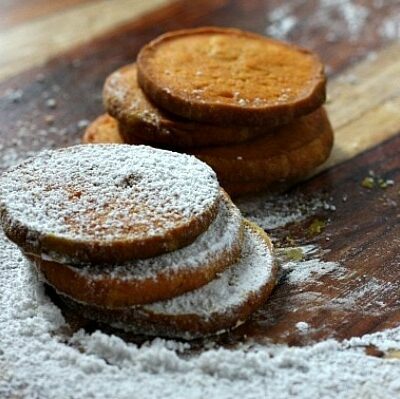 These r so good and easy to make! We made them at our last ladies nite. Didn’t add the red pepper for those who didn’t like hot, but had it handy for those of us that did! Already printed it out and am going to make them this week. Thank you!